They say anything is good if it's made of chocolate. And that stands true for this heart-shaped chocolate truffle fondant cake as well. 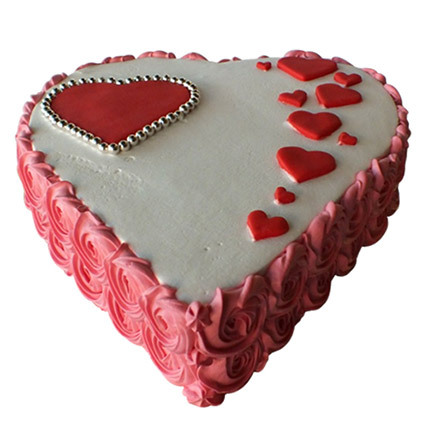 With small red hearts, this cake is an absolute delight for eyes that will satiate your taste buds as well. Order it online to celebrate the Valentine's Day with your partner in the most romantic manner.